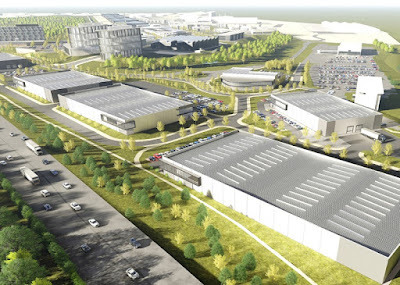 Plans are moving forward to expand the successful Sheffield Business Park into Rotherham, where there is the potential to create 800 more jobs. Rothbiz has reported previously on the part of the park which actually crosses the boundary into the Rotherham local authority district and has already seen the development of The Car People and the Mercure Sheffield Parkway hotel to the East of the Europa Link. Over the road from the Advanced Manufacturing Park (AMP), the site of the former Sheffield airport is already home to the likes of ITM Power, Fulcrum, SIG and Stanley Black and Decker. 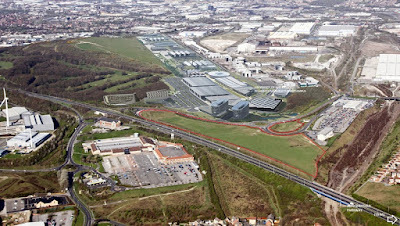 The park comprises over 200 acres with 700,000 sq ft of floor space already accommodating over 2,000 jobs. The park is seen as key to the potential Advanced Manufacturing Innovation District (AMID) with the University of Sheffield officially opening its Factory 2050 in 2017 as part of its "AMRC2" site. Boeing Sheffield is currently under construction. Now marketing for Phase 4, which fronts Sheffield Parkway, is underway with agents Knight Frank. Developers are also in discussions with Rotherham Council on securing outline planning permission for the site. Planning consent is being sought for a range of employment uses including B1 B&C (Research & Development), B2 (General Industrial) and B8 (Storage & Distribution). The brochure states: "We are able to offer up to 17.91 acres (7.25 hectares) in two plots - Plot 1 c16 acres (6.48 hectares), Plot 2 c1.91 acres (0.77 hectares) of prime development site in the heart of the Advanced Manufacturing and Innovation District with road frontage onto the Sheffield Parkway – the main arterial link between J33 M1 and the City Centre. Both land sales and bespoke design and build packages will be considered." The 18 acres in Rotherham is yet to be developed as it was placed in the greenbelt to secure a clear area of land at the end of the former Sheffield City Airport runway. With the airport's closure, the land was changed to employment use in the recently adopted Local Plan. The switch from the HS2 line heading to Meadowhall to the M18 route has also opened up the area for development. Early estimates were that the plots could potentially accommodate buildings from 9,500 sq ft to 108,000 sq ft and that the space could provide 826 jobs. Updated plans could total around 235,000 sq ft of floorspace across six development plots.